The United States is a vast country, made up of 50 states. It is a wonderful destination for an adventure, whether you’re looking for a city break, adventure holiday, beach break or even a road trip. The official language of the United States is American English, making it easy for the 1.5 billion people in the world who speak English to communicate while they are there. Why Ship to the USA? What can I send to United States? What items are restricted? Shipping to USA is a handy solution to any problems with baggage you might have. With all the activities on offer in the US, sometimes extra baggage is a necessity, especially for those looking to take part in outdoor activities. Climbing and hiking equipment, skis and surfing gear can all be very awkward to take on commercial flights. This is where Send My Bag comes in. By shipping these items to the USA you can save yourself an awful lot of hassle. Whether you’re going on an adventure break, a famous US road trip or even for a city break, Send My Bag can make taking your luggage an easy and safe option without you having to worry about excess baggage fees or lost luggage. Our service provides pick up and drop off, door to door, which makes travelling so much easier and stress free. You can ship your baggage for the outward and return journey, or just for the return journey, if you have too many souvenirs or you have been on a shopping spree! We can also help if you wish to relocate to the US. Send My Bag offers shipping from the UK to the USA and to and from many other destinations. Send My Bag's service is also very handy for students who need to transport a lot of items to and from college in the USA, especially those who need to clear out their student room at the end of each semester. This way, students won't have to miss out on their favourite possessions but can create a home away from home to help with homesickness. Not only does Send My Bag offer shipping of luggage to USA, it also allows you to send a parcel to USA and perhaps surprise a friend who lives there with a care package. If you need to transport items to the USA, you should look into the various options available for shipping to the USA. Certain options will be more suitable for you than others. You can choose between several different options for international shipping to the USA. Here are some of the options below. With Send My Bag you can send your luggage and boxes to the USA. If you are going on holiday to the US or relocating there, you can avoid a lot of stress by sending your bags. It means you can hop on public transport as soon as you arrive without dragging your bags behind you. It also means that you can take many more of your personal belongings than a typical airline would allow, and you can avoid those dreaded excess baggage charges. Send My Bag has numerous international routes, with a great-value flat rate for each route up to a massive 30 kg. This means that you can bring your favourite books, DVDs and keepsakes, etc. to help you set up home abroad. To learn more about sending luggage to the USA, visit our ‘How it works’ page, or our ‘FAQs’. The USA has some of the world's best golf courses, such as Cypress Point, Pine Valley and Shinnecock Hills. So why not send your golf clubs to the USA so that you can sample these courses without having to rent golf clubs. It is easy to send golf clubs to the USA with Send My Bag. Before you do, make sure you find out how best to package them by visiting Send My Bag's information page on how to send golf clubs. There are numerous ski resorts in the USA, from Aspen, to the Sundance Resort, to Lake Tahoe. You don't have to rent skis when you are there. Instead you can send your skis to the USA with Send My Bag. It is easy to do so, just make sure your skis are packaged up well and visit Send My Bag to find out how to send your skis to the USA. Check out our ski shipping information to learn about how to safely parcel your skis in line with regulations. If you are moving to the USA, to work, for retirement, or to be closer to family, you’ll have plenty of things to take with you. You’ll be surprised at home much stuff you have, and how difficult it is to get rid of things. You will, therefore, need to consider international removals to the USA. Before you hand over your precious possessions, make sure that all your items are well packaged so that they won’t get damaged in transit. Use appropriate containers for your items and seal all packages well. The USA has some of the best universities in the world, including MIT, Harvard University and Stanford University. If you are moving to the USA study there, or indeed travelling within the USA to go to college, you can use Send My Bag to transport your items to your dorm. Check out our student shipping page and learn how to receive 10% student discount. If you arrive in the USA and realise that you have left something behind at home, you could ask a friend or relative to send a package containing the missing item to the USA for you. You can also send and receive Christmas or birthday presents. If your loved one has moved to the US you could tell them you are thinking of them by sending a care package. This is a great idea for students spending a year abroad in the USA or for expats who have gone to live in the USA, and who are feeling a bit homesick. Send My Bag can send parcels internationally to the USA for you. Please ensure your parcel is parcelled up properly so that everything arrives in one piece. Take a look at our information page on how to send a parcel to find out what you can send with Send My Bag and how to package your items. You could send items to the USA by air freight. You might decide to do this if you have large items to transport, such as a table or an armchair. The price you will be charged for this service will depend on the weight and size of your shipment. Sending items by air freight usually takes one to two days and is usually quicker than sea freight shipping, but normally more expensive. However, you will likely have to use the services of a customs agent to handle customs clearance for you. Also, you will need to sort out transportation for your items to and from the airport. You will, therefore, have several different costs to pay if you choose air freight. If you send internationally by air freight to the USA your items would likely arrive at one of the major airports, such as John F. Kennedy International Airport or Los Angeles International Airport. You could ship your possessions to the USA by sea freight rather than air freight, especially if you don’t need to receive them immediately. Sea freight usually means shipping items in containers. With container shipping your items are transported inside a large container on board a cargo ship. You might choose this option if you have very large items to transport internationally, such as furniture or even a car. Sea freight can be cheaper than air freight, but you will need to use the services of a customs agent and will need to sort out how to get your items to and from the ports, with this all adding up in terms of cost. When using container shipping to the USA your items will most likely arrive by ship at one of the major sea ports, such as Los Angeles, Long Beach or New Jersey. When shipping goods to the USA you need to be clued up on the country’s customs rules. You should be aware of any duty that you need to pay and what items are allowed to be shipped to the USA, which items are restricted, and which are entirely prohibited. You should have a look at the section below on ‘What can I send to the USA? What items are restricted?’ As you will see below, items that you are restricted when shipping to the USA include items deriving from certain countries, such as the Sudan, Syria and Cuba. This is a no brainer for anyone who wants to lessen the load and make their lives easy peasy. After your order is completed you will be required to log in to your account and spend a couple of minutes completing a questionnaire, which will provide Send My Bag with the necessary information to submit a 3299 Personal Effects form to customs on your behalf. The owner of the bag will also be required to upload a copy of their passport onto the booking to allow us to declare the consignment as a Personal Effect shipment, which will then make the items eligible for duty exemption. The vast majority of countries allow people to send a good number of personal effects free of any duty charges. Therefore, most Send My Bag shipments worldwide will not be stopped by customs. Personal effects can be described as used items which have been in the sender's possession for 6 months or more. If your bag is checked by US customs and is found to contain brand new or commercial items you may be required to pay customs duties and taxes. This is important to note if you are sending Christmas gifts. Please always check with US customs so you are aware of potential customs duties, follow their advice and attach all necessary documentation. Customs processes and allowances do vary depending on the country and we, therefore, advise all travellers to take 5 minutes to check how their personal circumstances and what they are sending will be assessed under the prevailing customs regulations of the destination. Once you have booked your collection, you can provide a breakdown of the items you are sending by following the link we provide. When shipping to the US we would also recommend completing the USA’s personal effects form, which clarifies the items you are sending are personal effects and not for resale, thus avoiding any local taxes or custom charges which could delay your baggage. In order to demonstrate that your shipment consists of personal effects, you will be required to complete a short non generic packing list online, written as follows: "6 x cotton t-shirts, 2 x skirts, 3 x pairs of shoes", and so on, rather than as "10 x used clothing". The US allows a maximum of $100 worth of gifts to be sent to any one person in a single day. For "Insular Territories" (US territories that are not 1 of the 50 US states, or the Federal District of Colombia) have an increased allowance of $200 per person. Where gifts are being sent to multiple people within the same packaging, each gift must be individually wrapped and clearly marked with each recipient's name. The $100 allowance applies per person and not per consignment in such instances. If gifts exceed the $100 gift threshold, the tax-free allowance is void and duty/tax will be applied to the entire value of the shipment. The weather in the US varies from the north of the country to the south and from coast to coast. The US has most climate types, meaning that there are a wide range of activities to enjoy in the US. There are 59 national parks covering everything from desert terrain to lush forests, mountain vistas to picturesque beaches. 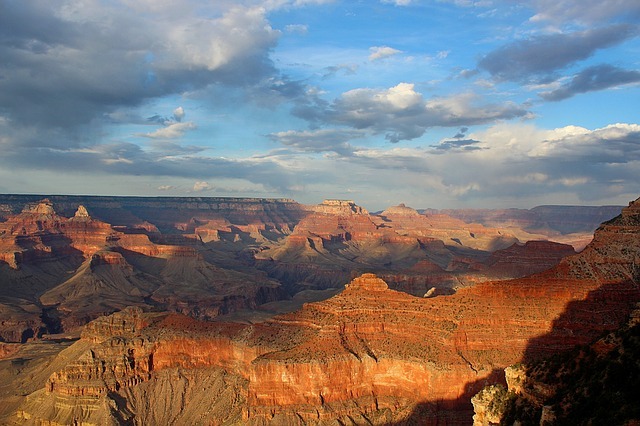 Some of the most popular and famous national parks in the US include the Grand Canyon, Yosemite and Yellowstone Parks, the Smokey Mountains, the Rocky Mountains, the Everglades, the Sequoia Giant Forest and Death Valley. All the national parks provide a wide range of outdoor activities including hiking, rock-climbing, skiing, biking and water sports for those who enjoy the great outdoors. America’s cities are a major draw for those looking at the county’s cultural history. Must see cities on many people’s lists include: New York, Las Vegas, Los Angeles, San Francisco, Miami, Chicago and Washington. These are the perfect stop-offs for city breaks or as part of a road trip, with plenty of cultural things to see and do and, of course, plenty of shopping opportunities. You can easily get around the country either by road, rail or air travel and even by boat.